Welcome to the 2 Sketches 4 You Ultimate Card Showdown. We are celebrating our 1st Anniversary and wanted you all to join in on the fun and festivities as we say thank you to one and all for an amazing year. 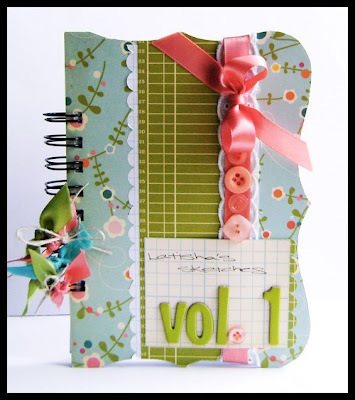 In honor of our 1st year Annivesary we are teaming up with some of the biggest names in the crafting industry to bring to you a Card Challenge 2 Sketches style: A card challenge so big, so wonderful and so exciting, filled to the brim with sketches, cards, inspiration, anticipation and PRIZES that will change the way you make cards 4 eva! Create the most stunning card ever based on Laura's sketch. Take a beautiful clear picture of your card and post it on your blog, website or public gallery THEN hop on over here and link up your card using MR. LINKY! One week! Have your card linked through Mr. Linky by Midnight Saturday June 6 (that is U.S. Mountain Time). Our wonderful Judges (past and present 2 Sketches 4 You Design Team Members) are going to pick their favorite TOP 30 cards. They will secretly email us their choices and we will announce those finalists on Sunday June 7 right here together with Card of the Week and the Fab 5! and the Sakura Random Prize Winner of the Week. The Top 30 Finalists will also receive their exclusive Sketch to be completed by the following week. The winner of Card of the Week will get the prize donated by the Sponsor of that Week. Oh yes did we tell you that the Sponsors will be giving us their input on the Cards so be sure to visit their websites *wink-wink*. Woohooo this is going to be TONS of fun!! 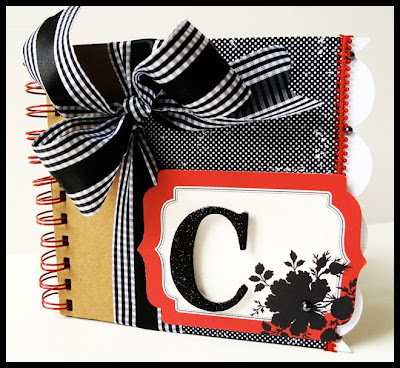 We can hardly wait to see all of your beautiful cards! Remember we are using Mr. Linky for the first time! Please let us know if you have any troubles uploading! Questions can be asked through emails to either Kazan or I, or in our cute little chat box! Laura and Our Rock Star Design Team!! Wow! What stunning cards everyone created. Great sketch. I'll be sending mine soon. Looking good isn't it? I wish all the participants much fun and luck and remember I'm gonna be one of the judge,hi,hi. What a wonderfull card has been made by the DT! Was I the first to leave a link at Mr. Linky!?!? I know there has been some problems with Mr. Linky recently. So just in case, I leave my link to my card here too. How exciting and what a great opportunity. Can't wait to play later today. Great sketch and great cards by the DT! And the challenge is really wonderfull! beautiful cards girls!!! Good luck to all the participants!! I love this sketch and I had so much fun using it today!! Thanks for the inspiration! Happy 1st Ann. 2s4u!! I fell in love with this place a few months ago!! WTG Laura and Kazan! GL too all the peeps participating! I'm looking forward to judging such a FABULOUS event!! Thanks to you Kazan and Laura and all the lovely DT ladies past and present... your work is so inspiring and just the chance to share this all together brightens everyone's day here, I am sure. WOW! This sounds like lots of fun!! I will definitely be playing along!! And as always, I love the sketch and all the DT cards!! wow - I am jealous now that I can't play for this weeks prize!!! Great sketch, I hope I can play along this week, I already have an idea for it. The DT has make wonderful work from the sketch! Wooh great cards and a wonderful sketch. I had an extra day of, so enough time to make a card fot the 1st Annual 2 Sketches 4 You Ultimate Card Showdown. Thank you for this oppertunity. What an exciting competition. Congratulations on your 1st year of this fabulous blog. 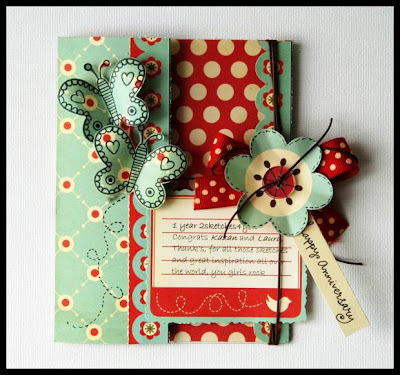 I am so pleased I found it and came across so many talented card makers. Thank you each week for fabby sketches and wonderful inspiration. So exciting! loved the sketch and beautiful work from the DT. Yummy prizes too! I have my fingers crossed! can't wait to see what everyone does with the sketch, you can see mine here :) and I added it with Mr Linky too! Congrats to you, Laura and Kazan with ONE year 2s4y. I hope everyone will play along with this great contest. I'll visit your blogs and be one of the "judges". Good luck and have fun! Wow! So exciting! Can`t wait to get started! Wonderful creations, great sketch! Good luck everybody! This sketch was so fun! I may have to use it again. I hope I linked it correctly. I'm so inspired to play -- thanks for the fun & exciting challenge!! What fun this week. Hope to have a chance of that prize. Congrats on your first year Laura and Kazan. And what a wonderful way to celebrate...This is my first card sketch that I have made. I just hope I made it right. I loved looking through all of the cards that everyone has posted already. They were so inspiring. Good luck everyone. What fun and what a great sketch. I entered, twice. Oops, I forgot to put on my blog post that it was an entry to the Showdown---I just edited it, so please count me in now!! Thanks so much! What fun! The cards rock, ladies!!! This is gonna be super fun!!!! Can't wait to see more of the super awesome cards for this sketch!!!! Thanks ladies for all of the fun!!!! Yihaw... this is soooo exiting! I've uploaded mine already... now waiting for the drumm roll and the winner announcement!!! Wow! Fabulous contest! Love this week's sketch (as usual)! Now you can see my card for "the 1st Annual 2 Sketches 4 You Ultimate Card Showdown". The prices to celebrate this are stunning :-) and the sketch and cards of the DT are great. Love 2 Sketches 4 You..!! I LOVE all of your cards/projects this week!! WOW...just stunning! i'm not so much crafty, but thought i'd try it out anyway!! my goodness what an awesome sweet grand prize.. Thanks for the great sketch! I can't wait to get started. P.S. 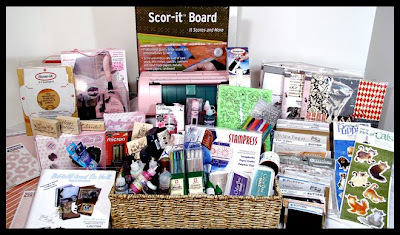 - I noticed that the link for Inky Antics Rubber Stamps in the post is actually linking to Teresa Collins. Congratulations on your 1st Anniversary girls...has it really been a year? Great DT cards as always and some fab prizes on offer! This was really funny and I´ve done a card now :) Wonderful sketch to work with! congratulations Laura and Kazan - you have a wonderful blog site that I enjoy coming to visit each week, keep up the fab sketches!!! This was a fun sketch, so thanks Laura! thanks lady's for the sweet comments. Love all your cards and sketch too!! Congrats with 1 year 2s4y!! Beautiful sketch and love what the DT made of it!!! holy cow, I'm #78 and it's only Wednesday! I'm such a clutz!!! I just realized i forgot to leave my comment after i did a mr.linky!!! i'm #41!!! So excited for this challenge and happy anniversary!!! Wonderful sketch, just loved it! Happy Anniversary everyone at 2S4Y! That's an amazing goodie package! I'm posting my link here too just in case Mr Linky goes AWOL again! happy anniversary, Laura & Kazan, so, so deserving!!! This is a great challenge. Thanks for the chance to enter more than once! My entry into the 1st Annual 2 Sketches 4 You Ultimate Card Showdown. I'm excited, because this is my very first challenge and my very first online post, which I posted at two peas in a bucket. I hope everyone likes my graduation theme card. Lovely work from everyone! Its all so inspiring! I love this sketch! Awesome inspiration! Thanks, Ladies! Thanks for the sketch! I may have to make another! 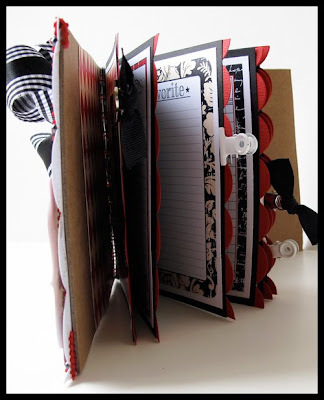 And the altered book (the first one) rocks! Loving all the inspiration from the DT! Great sketch and awesome samples by the DT (as usual!!). I do not envy the judges for this competition - what a lot of amazing entries! This is my first sketch - thanks for the opportunity to play along. I played along with sketch nr 27, you can find my card on my latest blog post, so it won't be hard to find. Love the DT's take on it, really gives me a lot of inspiration, so thanks!! Hugs, Wendy. Oooo, I got so inspired when I saw this and I just had to play along. Awesome sketch Laura! The DT samples are great too...thanks!!! LOVE the sketch and am so excited to play!!!! this is so fun! I'm so excited to play! fabulous cards. HAPPY BIRTHDAY 2 Sketches 4 You! Thank you so much for this opportunity!!! What a fun sketch... I had a blast making my card!!! What a fun sketch! and all the DT cards are fabulous! I played along and linked it up with Mr. Linky! WOW!! Look at all the stunning work by Laura and the DT as well as the gallery. Love Mr. Linky.....and I love the sketch so much that I have created two entries. The first one is posted and I will post the other one later today. Woohoo! Happy Birthday (or Anniversary whichever you prefer) to you! Looking forward to the next year of rockin sketches and totally inspiration DT work! Great cards from the DT. I have put the blog candy on my sidebar. This is so much fun! Ladies what wonderful creations! This is just... such an amazing challenge!! And that's an understatement! I wanna ride with you, so I'm playing along!! I left a link to my paperbag card the other day using Mr. Linky but seeing as he seems to have disappeared, I figured I would repost it here in the comments. Good luck to everyone and thanks to Laura, Kazan, the DT and all the fab sponsors for hosting such a fun challenge. Beautiful sketch!! The DT made a wonderful job. I just posted my creation. HAPPY BIRTHDAY 2 Sketches 4 You!!! Awesome sketch from Laura and beautiful work from the DT. What a totally fun sketch. Thanks for the inspiration! Just wanted to make sure it was here too! OMG I read the Red Lines for entering this challenge and saw I totally forgot to mention I was participating for the 1st annual card showdown at your site....I changed my post and cross my fingers, hoping this doesn't disqualify me!!! Hugs, Wendy. Congrats on your first year Laura and Kazan! It was fun using this sketch. The team made stunning cards! Great sketch Lara! I gave it a shot. Good luck to everyone who joined in. Where have I been for the past year that I wasn't aware of this wonderful blog? Thanks for the chance to play along and win some incredible prizes! Your samples are all just lovely and so inspirational!! Man, I am so excited about the challenge! And there is some great cards on here, I am not sure if my card can survive. We'll see! So fun! Congrats on 1 Year!! What an awesome sketch! I really had fun playing along! Hopefully I can play again next week! Wink, wink! LOL! So sorry, the first link I posted is just to my blog. The second post takes you directly to the card. My apologies for the inconvenience! Now I have made a card too and hopefully the upload has been successful. I am anxious to see what else will come along! From what I have seen a lot of beautiful cards have been made! Happy Anniversary for 2S4Y! What a great way to celebrate! Mr. Linky is not working right? You can also see my card here. I'm so glad my friend Maggi forwarded me to your web site. I've made a card for the 1st week challenge. Now I'm off to see what some of the other ladies have created! Wow! What a prices... I've just likned up my card. Great sketch. Loved all the DT cards/books!!! Very inspiring ladies! If I see Mr. Linky later I will link it there too. what a great sketch!! i got to use my brand new bind it all!! I can't wait to look at all the other creations from entrants. What a great sketch! What a prices! I hope I can still enter - if nor I had a fun time making the card anyway. Wow....that's one heck of a list!!! Glad to have stumbled upon your site!! Happy anniversary!!!!! What a great way to celebrate with such a great candy. If mr. Linky anyhow disappear, my cards are HERE. Sorry about the double post... Linked the first one wrongly. Congrats on the one year anniversary gals! Thanks for the fun challenge and GREAT sketch!!! The DT really rocked this one! awesome cards ladies!! I think we all had a great time with this sketch! Happy one year anniversary!! My card is up now. Great sketch. what a wonderful sketch and fabulous prize. Thanks for the opportunity to participate! There's no backing out now, I'm joining the fun. Gorgeous sketch and the gorgeous entries too!!! total eyecandies! Goodluck to all of us!!! Very nice creations from the Design Team. In fact it inspired me to create another entry for the challenge. Wow - of course I just HAD play along in this AMAZING challenge. The sketch is lovely and your samlple cards are as fab as ever!! Congrats, Laura and Kazan with ONE year 2s4y! I hope everyone enjoy and play along with this great contest. Great sketch... I had so much fun making a card using that sketch. Happy Aniversary, Kazan and Laura!!! I just posted my card to the Mr. Linky. Thank you, Ladies for this nice scetch! Wonderful cards to look at!!! GOOD LUCK EVERYONE!! Fabulous cards & an awesome sketch. Wow! Amazing cards by the DT! Hard to live up to such high standards!!!! Great sketch and contest! Thanks for the opportunity! This was a great sketch! So much fun! Happy Anniversary 2Sketches4You! Wow - what a price! Loved the sketch, the card practically made itself ;) Gonna check out all cards later - this is gonna be fun! Thanks for this cool contest! OMG there is just sooooooo much amazing talent out there!!!!! WOW! they are all amazing!!! Awesome sketch! And great samples by all the DT! I've submitted my entry on Mr. Linky & here is my card too! Congratulations on your 1st Year!!! Thanks for an opportunity to win some great prizes!!! I am so excited to participate! Hopefully I make it past week 1! But even if I don't I plan to play along and blog on it! There are so many talented ladies out there! 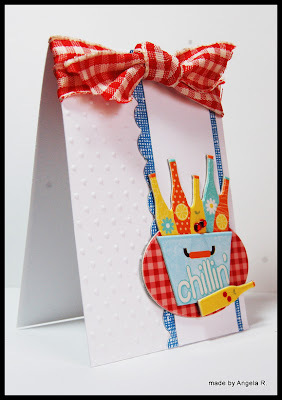 I added my card to Mr. Linky under Loves To Create -Nancy W. Good luck to all! Hugs from Conroe, TX! What a great contest! Thanks for the opportunity to participate! Can't wait for Monday to see who is chosen. Hope my card is ok. Had a difficult time getting a decent photo. Took me longer to photograph it than to make it!! Wowoo!! 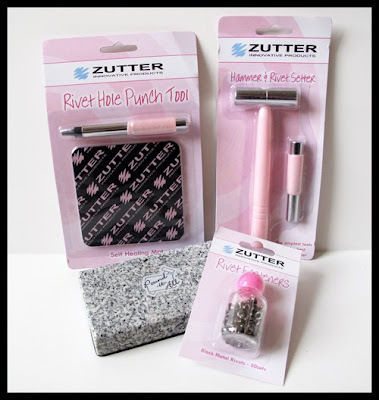 I am so thrilled this is my very first Contest yes! this feels awesome. I am so glad I found your site. Love it. 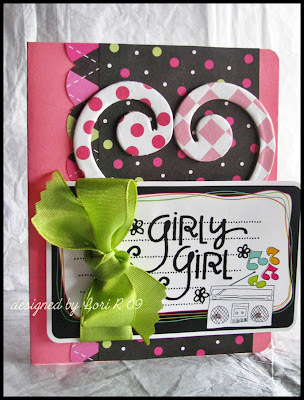 I am loving the card sketches can't wait to make another one. Good Luck to everyone. 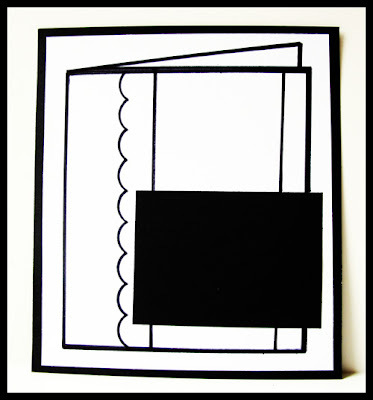 I used the sketch for a concertina card and used it on the outside as well as on the inside front cover of one of the envelopes. I just posted my card. Good luck to everyone! They all look AMAZING! Love this sketch! Good luck everyone. All the entries look amazing!!! Wow! It is amazing to see so many entries! This is awesome! I am so excited to go see everyone's work! Congrats on a fantastic year and your success! Fantastic Sketch and DT cards! OMG! So many fab cards! I don't envy the people who have to decide the top 30, it seemes like an impossible job! I'm glad I found this challage and got to see so many variations of the same sketch! I really liked this sketch and enjoyed creating my card. Everyone here is so talented. Thanks for your wonderful site. I got my cards in but the mr linky is weird he put up some of my links twice. WOW...that is a lot of entries!!! Best of luck to everyone! Holy cow, I'm entry # 35-something... Amazing DT cards, fantastic sketch and OH MY what prizes you have! Had so much fun with this! Thanks so much Kazan and Laura for everything that you both do!!! This was a fun sketch! Congratulations on your first anniversary!! Wishing you years and years of continued success!! Wish that I could someday sit and have a chai with you guys!! Sending you guys big hugs!! What an awesome challenge! I LOVE "judged" challenges! Looks like you girls have put a ton of work into this beauty! amazing sketch...thanks for letting me play along! Cant wait to go through all the fab cards! This was fun, thanks so much! Beautiful creations here to inspire!! Thanks for the opportunity to impress you guys and your sponsors! I just left my link with Mr. Linky!! Loved the sketch! Have there ever been so many entries as now, girls? Look at this... this is great! Congrats on you first aniversary. Hope there will be many succesfull years to come. Your sponsors gave you great birthday gifts, which will be the birthday treats to give to some of us... It looks so delicisious...yummie! I added my card with mr. Linky. In case anything goes wrong (we know mr. Linky by now, don't we ;) ) you will be able to find the card here too! I've been having fun with this challenge. This patriotic soldier card started out with pinks and browns and ended up with this. Don't ask me how my mind works!?! I used the Stars in place of the scalloped edge and placed the eagle on two sets of foam dimensionals. I just found your site. WOW! What great sketches you have. I followed your sketch and made a great card in no time at all. I am so excited to enter it. This sketch is so AWESOME!! I love it!! Sounds like you have a really fun party planned for us. 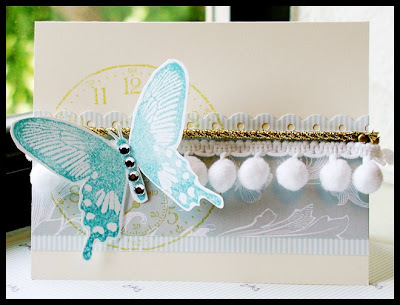 I have posted my card in Mr Linky...but here is the link also. what huge turnout! congrats and more power to 2Sketches4You! Great cards and sketch, as usual. I just want to let you know that the ink to the Inky Antics company links to Teresa Collins. Wonderful cards, every single one of them! LOVE this layout! Very versatile! I posted my card with Mr Linky!